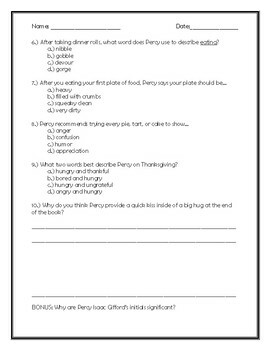 This is a short comprehension quiz for the 2009 text Thanksgiving Rules by Laurie Friedman and illustrated by Teresa Murfin. There are 8 multiple choice questions and 2 short responses. BONUS! 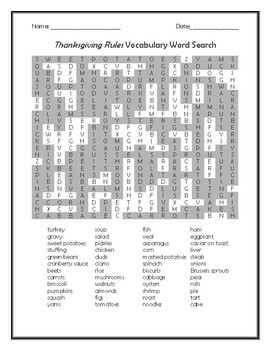 Also included with this purchase is a vocabulary word search containing all 48 Thanksgiving foods mentioned in the book! 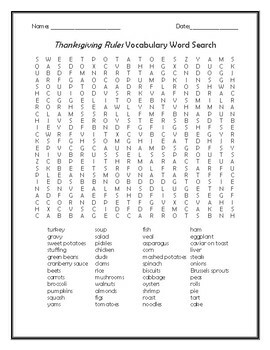 Great for ENL students or for a quick Thanksgiving activity! Remember, if you don't have a copy of a book, you can often find read aloud versions of texts on YouTube for students to watch on a Smartboard or iPad! Perfect for a quick class activity or center work!